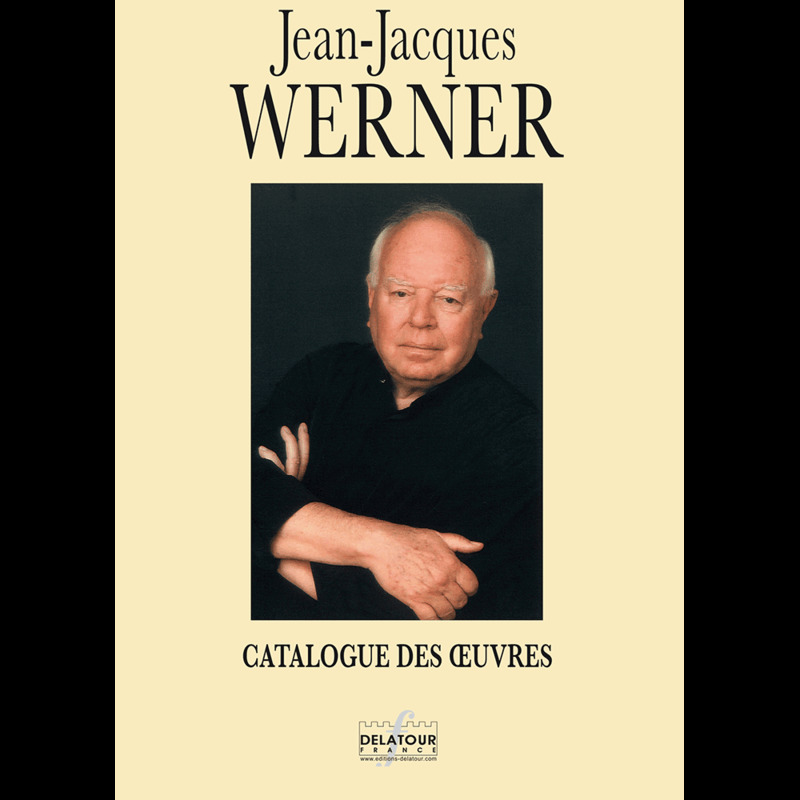 Jean-Jacques Werner’s biculturalism, resulting from his Alsatian origins and supported by his musical training first in Strasbourg and then in Paris, became enriched in the course of his active professional development as an instrumentalist, conductor, and creator. 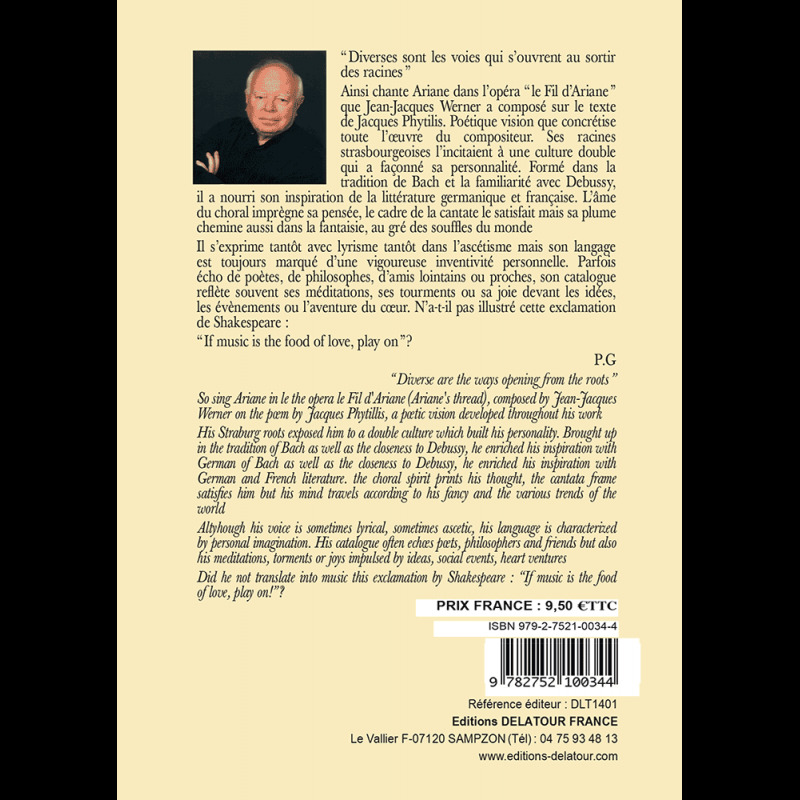 For him, music is inscribed in the domain of humanism, which his spirituality, his love of literature, and his complicity with the pœts nourish. These latter generate cantatas and lyrical works. They also engender a contemplation of which all his instrumental scores bear the mark: the movements of the soul--its impulses, desires or disruptions--are felt within them. The cries of the self; its anxieties or its groans, are translated into a vigorous language, colored with incisive strokes and persuasive flights of fancy. His catalog’s diversity gives an account of the emotions of humankind, its opulence of the ambitions of the artisan.